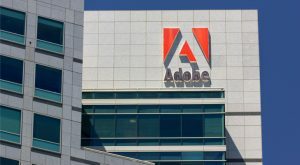 Adobe (NASDAQ:ADBE) stock has dropped over 5% since the visual-cloud giant delivered a mixed first-quarter earnings report in mid-March. The company’s first-quarter revenue and profit numbers topped expectations, as its top line surged an impressive 25% year-over-year. But the company’s second-quarter revenue and profit guidance came in slightly below expectations. And although it hiked its full-year 2019 profit guidance, it did not change its 2019 revenue guidance. In other words, ADBE didn’t deliver the typical beat-and-raise report to which the owners of Adobe stock have become accustomed. Instead, it reported a beat, but not a clear-cut raise. The owners of ADBE stock weren’t too happy, and Adobe stock dropped a few points. In the big picture, this post-earnings weakness of Adobe stock is nothing to be concerned about. The company’s top-line growth, which came in at 20%-plus, remains healthy and continues to support the thesis that ADBE is growing quickly and gaining share in some exceptionally large markets. Meanwhile, its bottom-line growth was below 10%, which is lower than normal for ADBE. But that was mostly the result of certain one-off margin headwinds which will pass by mid-year. Overall, then, the revenue and margin outlooks supporting ADBE stock remain robust. As long as that remains true, Adobe stock will continue to rise over the long-term. Right now, investors are worried about the valuation of ADBE stock. But those worries will pass once the company’s margins start moving higher again. So investors should embrace the recent weakness of Adobe stock, instead of avoiding it. Adobe’s numbers are still really good. Importantly, its revenue growth is actually accelerating, not decelerating, and its margins have the runway to rebound in a big way in the second half of the year. The company’s revenue growth in Q1 was north of 25%. That is the biggest year-over-year revenue growth rate Adobe has reported since late 2017, or five quarters ago. Meanwhile, its Q2 revenues are expected to rise roughly 23%. But management’s guidance is usually conservative. So ADBE’s Q2 revenue growth will likely come in around 24%-25% when all is said and done, exceeding the company’s growth rate through most of 2018. In other words, Adobe is a 20%-plus revenue growth company with a revenue growth rate that is not only stable above 20%, but actually rising slightly as the company expands. That’s impressive. It shows just how dominant this company is in some continuous-growth cloud markets and demonstrates that 20%-plus revenue growth can be counted on for the foreseeable future. Meanwhile, its margins were subpar last quarter, but this pain is temporary and leaves the company well-positioned to increase its margins in the second half of 2019. In the first quarter of 2019, its gross margins fell 1.4 percentage points year-over-year and its operating margins dropped roughly four percentage points. That’s not good. But all of the margin pressure was caused by deferred revenue and acquisition headwinds, which will phase out in the second half of 2019. As a result, its margins should improve dramatically through every quarter of 2019. By the second half of the year, its margins should be poised to expand year-over-year. If that occurs, as investors become more confident about its margins, they will buy Adobe stock, putting upward buying pressure on the shares. All in all, despite the stock’s recent drop, the company’s numbers remain good. As long as its revenue growth remains north of 20% and its margins improve from their depressed first-quarter base, ADBE stock should rebound from this selloff. In the big picture, Adobe stock is a long-term winner. Adobe is a cloud company. More than that, Adobe is a dominant, big-growth cloud company that is attacking really big, non-cyclical growth markets. Those markets include cloud-based digital document management solutions. which is a $7.5 billion total addressable market, cloud-based photo and video-editing creative solutions, a $30 billion total addressable market, and experience-focused enterprise cloud solutions, which is a $70 billion addressable market. ADBE already dominates two of those markets. The company essentially owns the PDF and digital-documents world. That world will continue to grow over the next several years as everything goes digital. As it does, Adobe’s Document Cloud will become more widely adopted. Adobe is also the only reputable player in the creative-solutions space. That space, too, will grow over the next several years as the world becomes more focused on graphics. And as the latter process continues, Adobe’s Creative Cloud and Experience Cloud solutions will also become more widely used. Overall, Adobe is positioned to gain share over the next several years in markets that are cumulatively worth $100 billion-plus, and Adobe’s revenues this year are expected to be just over $11 billion. Consequently, I think it’s reasonable to expect Adobe’s top line to rise 15%-20% for the foreseeable future, with gross margins that remain around 90%. Moreover, its spending rates should gradually fall as it grows. If my forecasts prove to be correct, I think Adobe’s EPS can reach about $22.50 by fiscal 2025. Based on a forward multiple of 20, which is average for growth companies, that implies a fiscal 2024 price target for Adobe stock of $450. That represents roughly 80% upside in the long-run. If we discount that $450 price target back by 10% per year, we arrive at a fiscal 2019 price target for ADBE stock of $280. That’s above where the stock trades today. As a result, ADBE looks well-positioned to rise in the near-term, too. The recent weakness of Adobe stock is nothing to worry about. Adobe’s numbers remain good, and its fundamentals remain strong, so the recent weakness of ADBE stock will pass. When that occurs, Adobe stock will resume its long-term climb. Ultimately, that long-term ascent will push ADBE stock towards $450. As of this writing, Luke Lango was long ADBE. Article printed from InvestorPlace Media, https://investorplace.com/2019/03/dont-stress-about-the-recent-weakness-of-adobe-stock/.